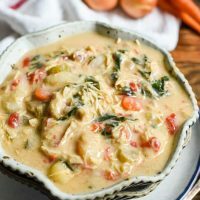 This Crock Pot Chicken Gnocchi Soup is creamy and loaded with flavor from roasted red peppers, garlic, and onions. We don’t watch much reality TV around here, but when we do we go all out. The Mr. popped some popcorn, I slipped on my comfiest sweatpants, and we planted ourselves on the couch, soaking up the drama unfolding before us. My hubby is my favorite TV watching copilot. He can imitate almost any accent and picks up on the most obscure details–Wait, is that a signed picture of David Hasselhoff on that stack of coolers?? Why yes, yes it is. If my husband’s mission in life is to throw me into fits of laughter during an episode of Hoarders, mine is to convince him that he actually likes gnocchi. Before this soup, the Mr.’s exposure to gnocchi was mainly in dishes where it’s used as a substitute for pasta and covered in sauce. He is not a fan of this, or pretty much any other substitute for pasta. Don’t even get him started on zoodles. I felt my guy wasn’t giving gnocchi a fair shot, so I decided to try it in a soup and see if I could change his mind. 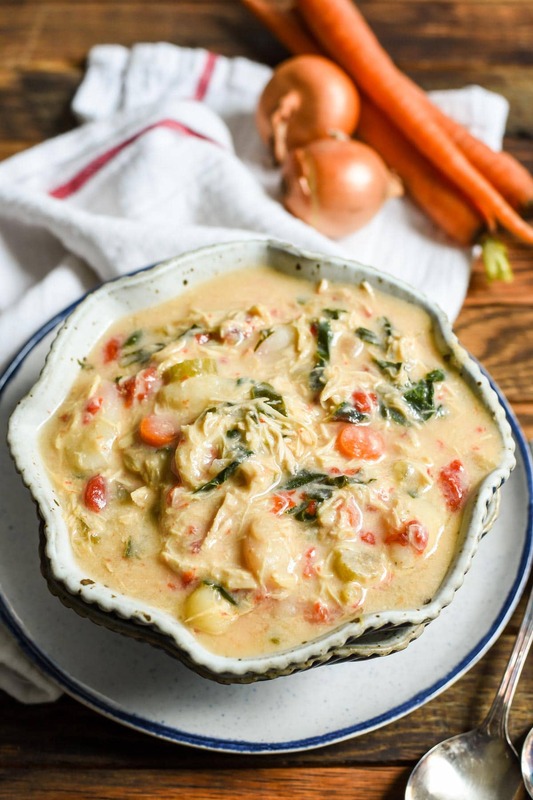 I wanted to stack all the cards in my favor so I went all out with a creamy chicken soup loaded with flavor. I mean, if I’m going to do some persuading, I better bring my A game. Carrots, celery, onion, and garlic form the base for the chicken soup we all know and love. Roasted red peppers add sweetness and depth, and evaporated milk provides that comforting creaminess I knew he wouldn’t be able to resist. 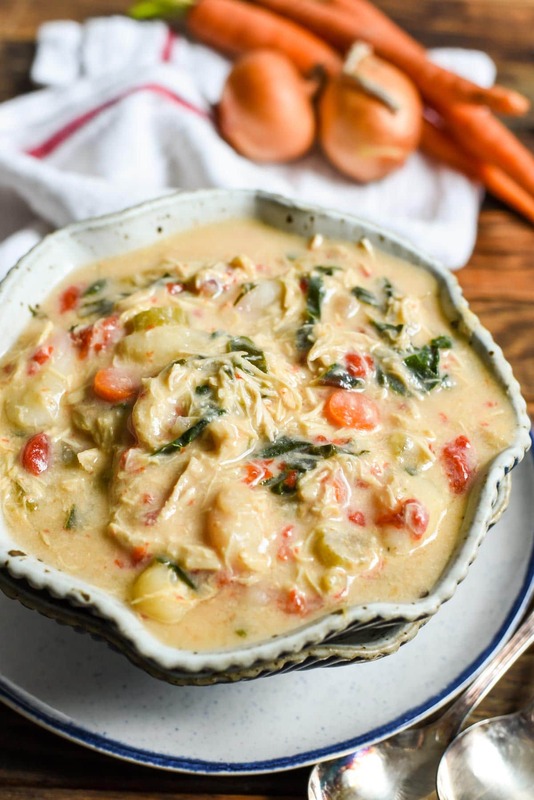 The gnocchi in this soup add just the right amount of carbs–a pleasing chewiness that makes this soup hearty and filling enough to eat as a main dish. One bite in, and the Mr. exclaimed, “Oh, this is good.” I just smiled sweetly to myself while inwardly shouting “VICTORY IS MINE!” It’s the small things. We’ve got another batch of wonderful Soup-er Bowl recipes for you today. 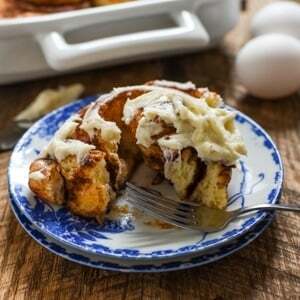 Check out my friend Melanie and Emily’s recipes below and be sure to enter to win a gorgeous Le Creuset Dutch Oven! In a crock pot, combine the carrots, celery, onion, garlic, chicken breast, both, and roasted red peppers. Season with salt and pepper. Cook on high for 4 hours or on low for 8. Shred the chicken breast in the slow cooker. Add the cornstarch slurry, stir in the evaporated milk, gnocchi, and Swiss chard. Cook on high for another 45 minutes to 1 hour or until the gnocchi is tender and soup is thickened. The description of you two watching Hoarders was priceless! Can you believe I’ve never made gnocchi before? 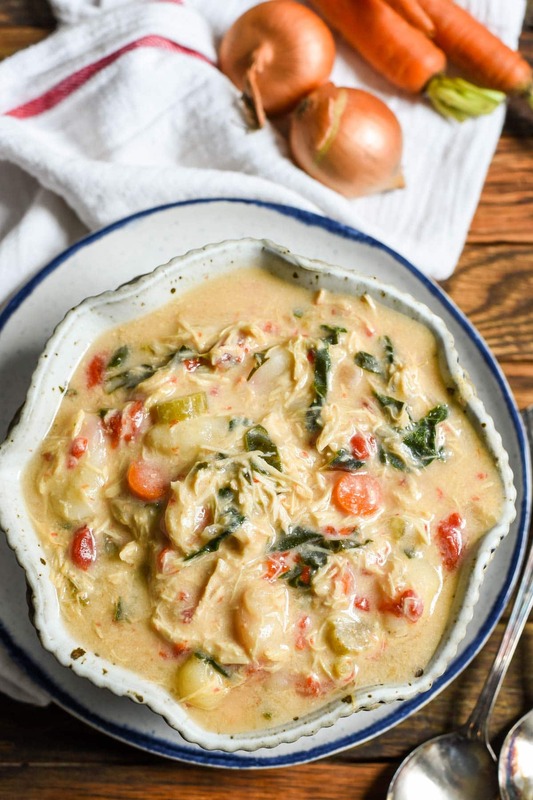 Totally going to change that with this comforting soup! Girl, you gotta make some gnocchi! 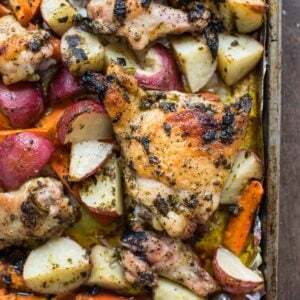 I’m going to try it in a sheet pan supper next and see if I can’t trick the hubby into liking it again! Yayyy! I love when I am able to convince my husband he likes foods he didn’t think he liked 🙂 But seriously, jhow can you not like a gnocchi soup??? This looks heavenly!! Perfect composition. I’m always in for gnocchi ! Thank you ! Loved this soup! I served it to guests for lunch with some homemade Italian bread and it was a huge hit. Everyone asked for the recipe. Your comments have made my day Sally! I’m so glad you found the site and I hope you enjoy all the recipes. We’re finally getting some cooler weather around here too, so I’m ready to break out ALL the soups! Enjoy!